You are invited to join the Excellence Center for a Trip to Palestine 2016, Hebron, Palestine. The Excellence Center, centrally located in Hebron, is an English language school providing the best in English language opportunities for the local population. 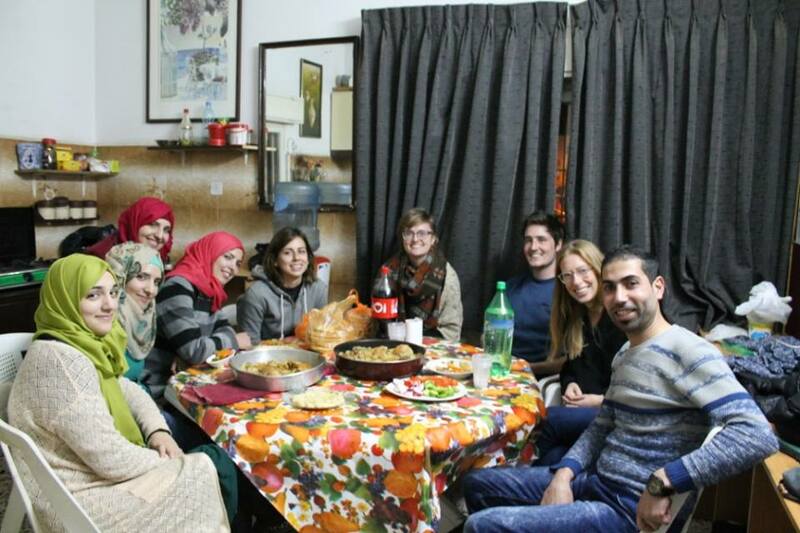 The Trip to Palestine program is a cultural immersion for international persons seeking an experience that allows the participant to become a cultural ambassador for his/her home country, while experiencing and familiarizing him/herself with the daily life of Palestinians, and the region’s rich history. The Excellence Center will provide participants with an entertaining, enriching, and dynamic stay. Please click here to watch a short video “Trip to Palestine 2015”. Program participants, led by Palestinian guides, will gain an authentic perspective of the West Bank. They will experience firsthand the many traditions, foods, and people of this vibrant land. Those interested in the political situation will have the opportunity to acquire firsthand impressions of the occupation. – Learn spoken Arabic from native speakers, and opportunity to communicate with local persons. – Travel to historic locations, and nearby cities including Jericho, Ramallah, and Bethlehem. – Live with a local Palestinian family if desired. – Visit Palestinian universities, and local institutions and organizations specializing in culture and education. – Attend cultural nights featuring entertainment, activities, and sports. – Listen to distinguished persons discuss Palestinian heritage and history. Send an email requesting an application to:Rafat@excellencenter.org We will send you an application form. Please read the enclosed information and return the completed application to us at:Rafat@excellencenter.org. PRESIDENT OBAMA: Mr. President, Mr. Secretary General, fellow delegates, ladies and gentlemen: Seventy years after the founding of the United Nations, it is worth reflecting on what, together, the members of this body have helped to achieve. Today, we see the collapse of strongmen and fragile states breeding conflict, and driving innocent men, women and children across borders on an epoch scale. Brutal networks of terror have stepped into the vacuum. Technologies that empower individuals are now also exploited by those who spread disinformation, or suppress dissent, or radicalize our youth. Global capital flows have powered growth and investment, but also increased risk of contagion, weakened the bargaining power of workers, and accelerated inequality. The increasing skepticism of our international order can also be found in the most advanced democracies. We see greater polarization, more frequent gridlock; movements on the far right, and sometimes the left, that insist on stopping the trade that binds our fates to other nations, calling for the building of walls to keep out immigrants. Most ominously, we see the fears of ordinary people being exploited through appeals to sectarianism, or tribalism, or racism, or anti-Semitism; appeals to a glorious past before the body politic was infected by those who look different, or worship God differently; a politics of us versus them. I also believe that to move forward in this new era, we have to be strong enough to acknowledge when what you’re doing is not working. For 50 years, the United States pursued a Cuba policy that failed to improve the lives of the Cuban people. We changed that. We continue to have differences with the Cuban government. We will continue to stand up for human rights. But we address these issues through diplomatic relations, and increased commerce, and people-to-people ties. As these contacts yield progress, I’m confident that our Congress will inevitably lift an embargo that should not be in place anymore. (Applause.) Change won’t come overnight to Cuba, but I’m confident that openness, not coercion, will support the reforms and better the life the Cuban people deserve, just as I believe that Cuba will find its success if it pursues cooperation with other nations. Let’s remember how this started. Assad reacted to peaceful protests by escalating repression and killing that, in turn, created the environment for the current strife. And so Assad and his allies cannot simply pacify the broad majority of a population who have been brutalized by chemical weapons and indiscriminate bombing. Yes, realism dictates that compromise will be required to end the fighting and ultimately stamp out ISIL. But realism also requires a managed transition away from Assad and to a new leader, and an inclusive government that recognizes there must be an end to this chaos so that the Syrian people can begin to rebuild.